Drake freshman guard D.J. Wilkins will miss the remainder of the season after suffering a broken bone in his left ankle, the school announced Monday. Wilkins, from Merrillville, Ind., led the Bulldogs in minutes played and assists while averaging 11.1 points per game. The University of Iowa women’s basketball team was selected as a No. 2 seed in the NCAA Women’s Basketball Selection Committee’s final top-16 reveal announced Monday. If the season ended today, the Hawkeyes (23-6) would be the No. 8 overall seed, and host the NCAA first and second rounds in Carver-Hawkeye Arena. Iowa State was also among the top 16 teams in Monday's reveal. Baylor, Louisville, Notre Dame and UConn are the No. 1 seeds. The Cedar Valley CourtKings open their 2019 training camp Saturday at the Boys and Girls Club of Waterloo. The CourtKings return a strong nucleus that includes 2018 Midwest Basketball League MVP Brady Burford, David Stanley Queshawn Roby, Aundre Hicks, Anthony James and Mack Johnson, who is currently playing in Spain. Among the newcomers expected at camp are former Adams State standout Jaree Crawford, former Massachusetts 7-footer Isaac Freeman, Kelvin Mackey of Grand View, Jordan Burich of St. Thomas, Emeche Wells of Southwest Oklahoma State, Chamar Wilson of Northeast Community College, Mitchell Hammer of Cedar Falls, Cael Lambe of Union Community High and Jared Sutherland, who played for the MBL Select team previously. Waterloo Black Hawks goaltender Evan Fear was named United States Hockey League Goaltender of the Week Monday. Fear, acquired in a recent trade, went 1-1 last weekend. He was in goal for a 2-0 shutout of Fargo when he made 34 saves, then turned away 30 more shots Saturday in a 2-1 loss to the Force. Thomas Breach is returning as the Waterloo Bucks' play-by-play announcer for the 2019 Northwoods League season. The Minnesota native and St. Cloud State University senior is also the voice of St. Cloud State baseball and volleyball, director of baseball operations at St. Cloud State, as well as sports director at KVSC 88.1 FM. 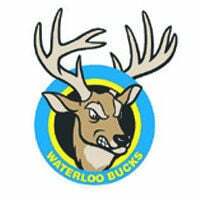 Bucks games will be streamed online at www.waterloobucks.com. Seven University of Iowa wrestlers are seeded among the top five at their respective weights heading into the Big Ten Championships that begin Saturday in Minneapolis. Spencer Lee (16-2 at 125), Austin DeSanto (16-2 at 133) and Alex Marinelli (20-0 at 165) are No. 2 seeds. Pat Lugo (149) and Jacob Warner (197) are seeded third, and Kaleb Young (157) and Cash Wilcke (184) are five seeds. Sam Stoll is the eight-seed at 285, and Mitch Bowman is No. 10 at 174 pounds. Wartburg College will send a large contingent of athletes to the NCAA Division III Indoor Track and Field Championships Friday and Saturday in Boston, Mass. The Knights have qualified in six women's and six men's events. Women's qualifiers are Alanna Muhammad (60), Cassidy Christopher (3,000), Carina Collet (5,000), Maggi Bjustrom (60 hurdles), Anan Rehberg (shot put) and the 4x400 of Belle Tyynismaa, Carson McSorely, Lily Campbell and Jackie Ganshirt. Men's qualifiers are Mark Schulz and Dalton Martin (800), Casey Roberts (mile), Caleb Appleton (3,000), Sam Pinkowski and Joe Freiberger (5,000), Famiek Cook (long jump) and the distance medley relay of Roberts, Cook, Schulz and Pinkowski). Waterloo Leisure Services is accepting registrations for its USSSA youth baseball and fastpitch softball leagues for players in the 9-under through 14-under age divisions. Cost is $395 per team, plus tax and teams must be USSSA sanctioned. For more information, call the Cedar Valley SportsPlex at (319) 291-0165 or go online at www.cvsportsplex.org. The Big Ten Conference announced Monday that James E. Delany will officially conclude his term as league commissioner at the end of his current contract, which expires on June 30, 2020. The Big Ten Council of Presidents and Chancellors has initiated a search process for a replacement.